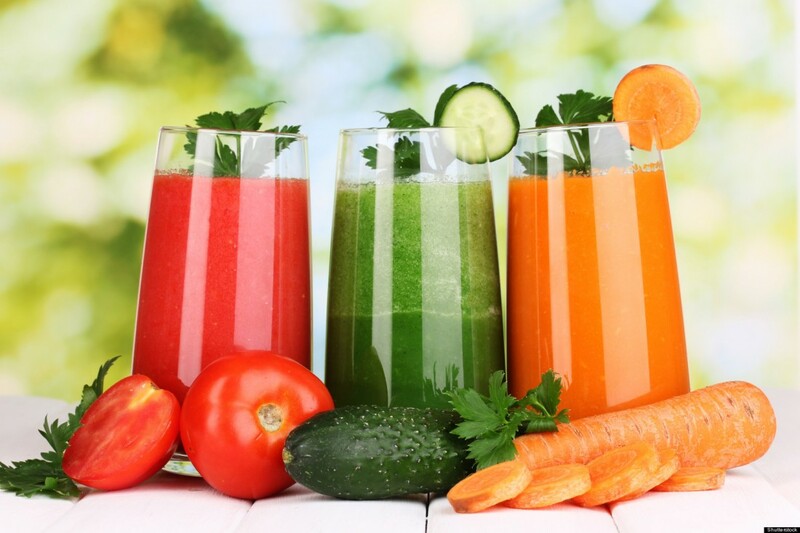 7 Ways to Get You Started on a Detox. Doing a detoxification plan is a great idea but it is important that you have some guidance in your process to avoid making it counterproductive for your organism. If you don’t want to commit to a full detox program right now, here are some tips you can start doing that will get your body detoxing. Drink a full glass of water as soon as you wake up. This will help you flush away all the toxins that build out during the night. Then continue drinking tons of water through your whole day. Aim to drink half your body weight in ounces every day. If you can, drink a green juice first thing in the morning before your breakfast. Starting the daywith a green juice is a guaranteed way of making sure your body gets an energetic and clean jumpstart. Eating enough fiber is important to keep a healthy digestion system. Fiber also helps lower cholesterol, blood pressure, glucose levels and inflammation, and even help in weight loss.Focus on organic high-fiber plant foods like legumes and non-starchy veggies. Sugar is really addictive. You eat it, you have a feeling of euphoria, and then suddenly you don’t feel good and you crash… and then you reach for more. Breaking your sugar habit is not as difficult as it sounds. You can reduce your sugar intake by just doing a couple of tweaks in your diet. Start by reading food labels and check if there are any hidden sugars, or even better avoid labeled products and opt for whole foods. It doesn’t matter if you get your sweat from running, dancing, cardio class or sauna as long as you are sweating every day. Sweating allows your body to release toxins and flush the body of system-clogging substances like alcohol, cholesterol, and salt. Detox skin brushing is a very powerful way to enhance the detoxification process,plus it is really easy and fast to do. It helps eliminate accumulated toxins in the skin and stimulates blood and lymphatic circulation. Every morning before you hop in the shower take 5 minutes to dry brush your skin starting from toes to head. It is amazing what a good night sleep can do for your body. When you sleep well you allow your body to restore and recover from all your daily stressors. Plus, you also give your body and digestion a break giving them time to eliminate all those accumulated toxins. If you feel you are ready for a full detox, remember to do some research and have some guidance before you begin.